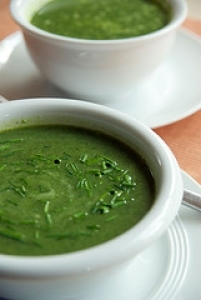 Have you made Chick Pea and Spinach Soup? 1. Saute the onion and garlic, covered, over low heat (they will cook in their own juices) until the onion is translucent. 2. Add the milk and raise heat to medium, and cook just until boiling, stirring constantly. 3. 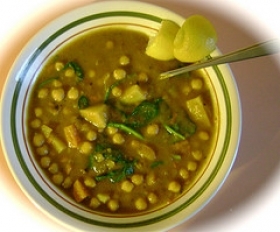 Reduce heat to prevent boiling over, add chickpeas, spinach, and spices, and continue to cook, stirring, until spinach is wilted. 4. Remove from heat. 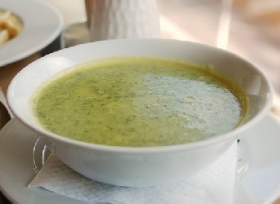 Place 1 1/2 cups of the soup into a blender or food processor and puree. 5. 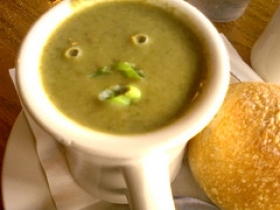 Return puree to soup, stir well, and serve hot. 6. 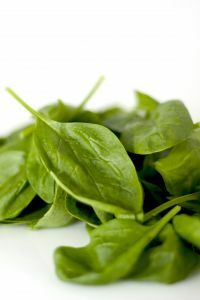 Rinse spinach in warm salted water, drain, and shred or chiffonade before using. 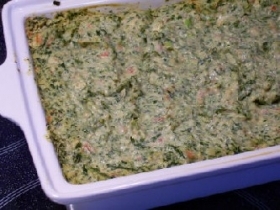 This recipe is high in Vitamin A with 74% of your daily recommended intake per serving. 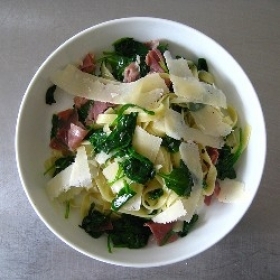 This recipe is high in Vitamin C with 25% of your daily recommended intake per serving. 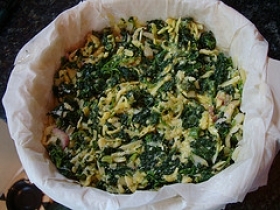 This recipe contains potential food allergens and will effect people with Milk, Garlic, Onion allergies.